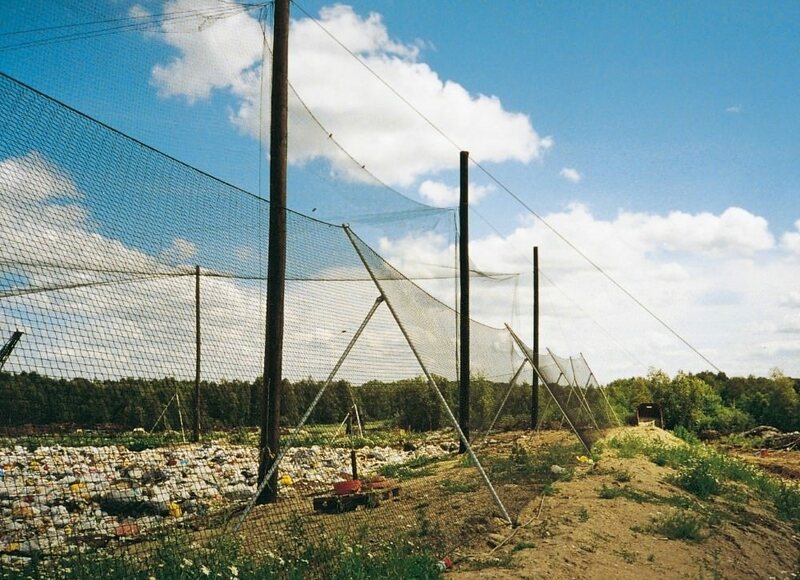 Nowadays, the law requires every waste disposal site operator to protect the area surrounding the waste disposal site from any contaminations which could spread from the site. 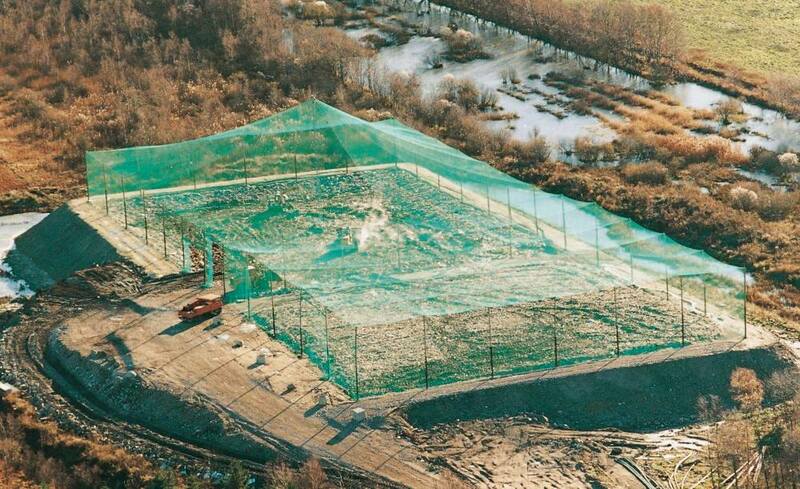 For this reason, anti-litter nets have become indispensable for modern waste disposal site management. 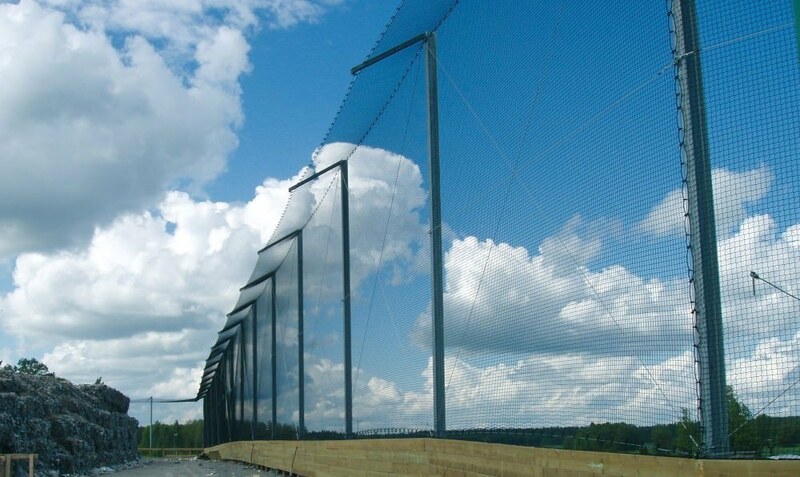 Above all, it prevents light waste like paper, foils or foams from drifting onto adjoining areas. 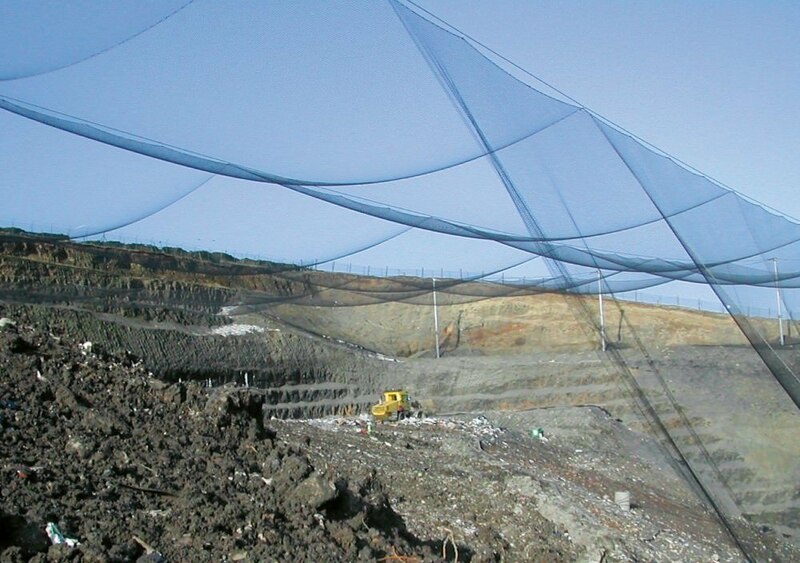 Our anti-litter nets in standard sizes are delivered with a reinforced border (approx. 9 mm thick) and 4 thimbles at the corners for tensioning the net. 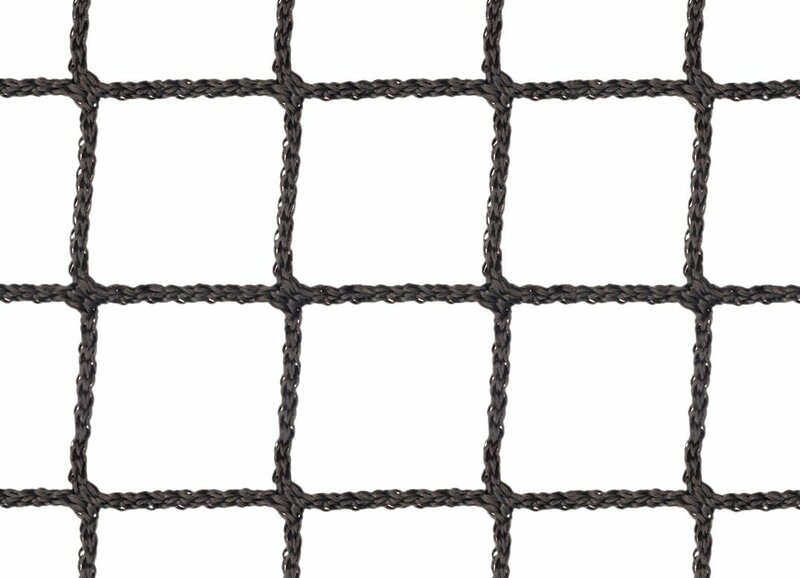 Important: When hanging up the paper catch nets, care must be taken to guy the nets taut and to prevent chafe marks on the border of the net and the net material. 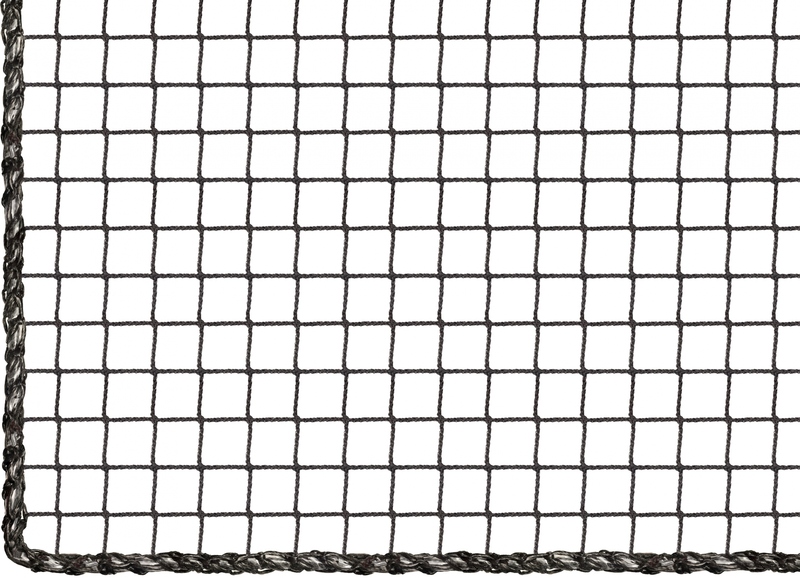 This particularly applies in the case of small-meshed nets. Here, we recommend additional thimbles or attachment clips at 5 m intervals.